Have you been to The Aldrich lately? 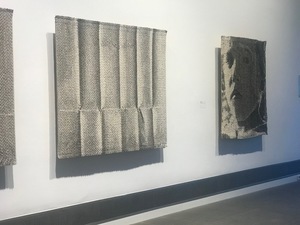 From a Ridgefield resident who is "Weaving in Progress," to Tabletop Art Objects and Kitchen Arrangements and things that are simply "On Edge," the Museum will make you ponder and discover that what is seemingly mundane to its new version of extraordinary. 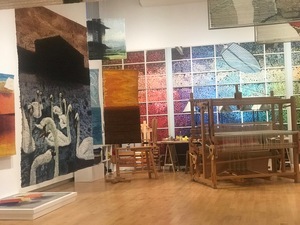 And yes, you may capture longtime Ridgefield resident, artist Helena Hernamarck, "Weaving in Progress". 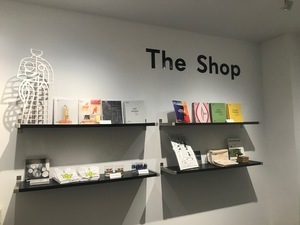 While you're at the Museum, stop into the Shop where you'll find gifts inspired by current exhibits as well as unique items for future art stars and book lovers. 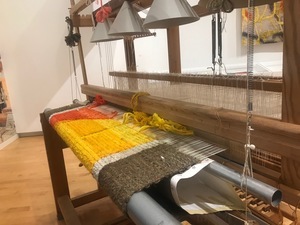 The exhibits are on view until January 13, 2019 with the exception of Weaving in Progress which is on view to January 19. The Aldrich is located at 258 Main Street in Ridgefield, Conn. Visit The Aldrich online here.